Now available for the Focus RS MK3 is the legendary Eibach Pro-kit, an up-rated lowering kit enhancing the car’s naturally aggressive stance and lowering the centre of gravity to improve handling and any bias to roll. Computer matched to the factory dampers these progressively wound springs work hard to maintain excellent ride quality whilst offering an aesthetically pleasing lowering of 20mm both front and rear. The Pumaspeed Workshop team are ready to fit the Focus RS MK3 Eibach Pro Kit Lowering Springs 20mm in our Head Office located here. Therefore making parts and labour a total cost £410.99 (inc. VAT). 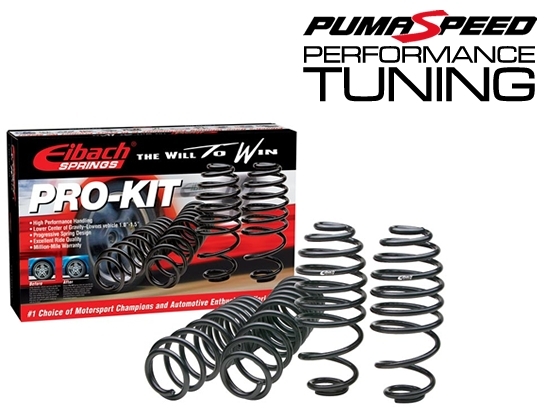 Pumaspeed have a specialist distribution team that can dispatch the Focus RS MK3 Eibach Pro Kit Lowering Springs 20mm to any destination worldwide.